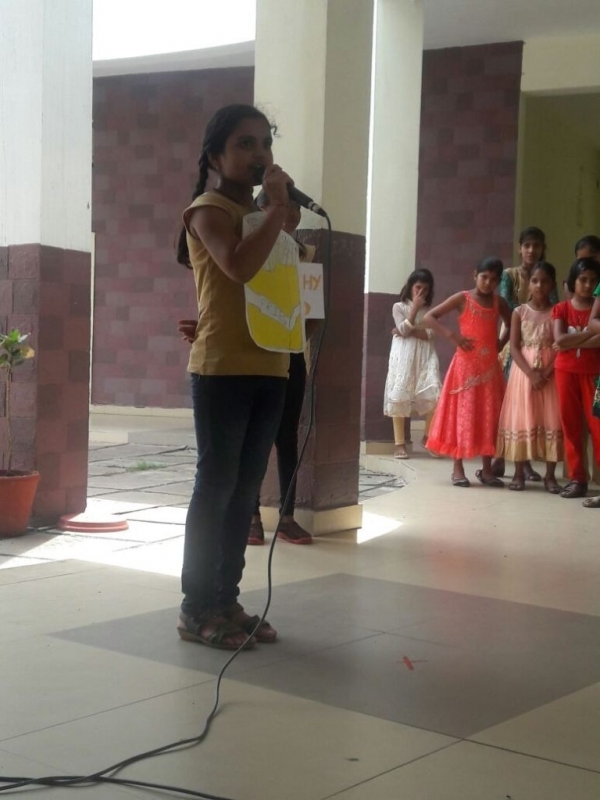 The students of class IV of SVN conducted an assembly on 21st July. The assembly started with a prayer followed by the prayer song. The theme of the assembly was ‘Eat healthy, Stay healthy.' 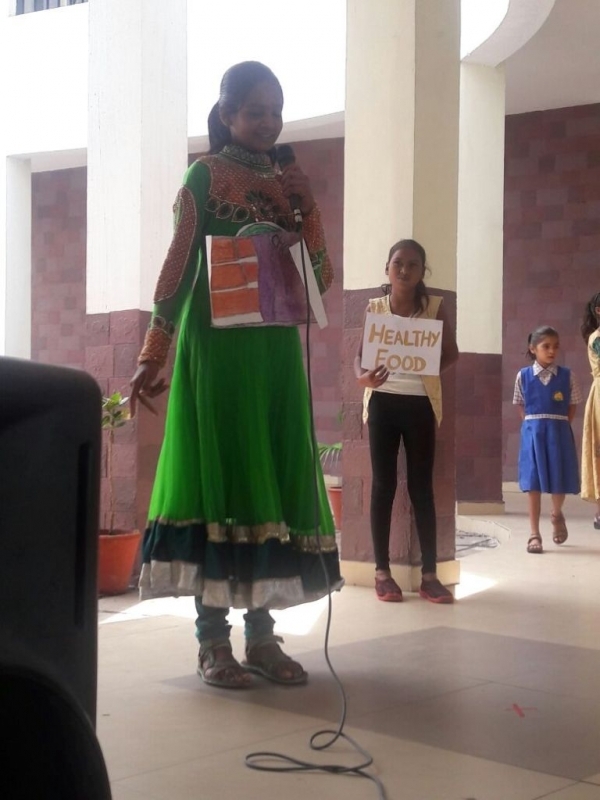 The aim of the assembly was to bring forth the benefits of eating healthy food and problems caused by consuming unhealthy food. 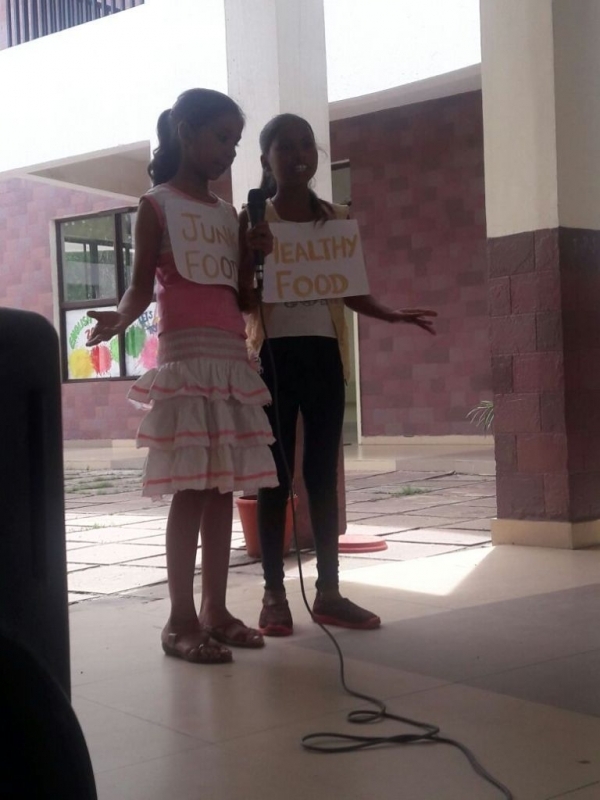 Students made everyone aware about the benefits of healthy food over junk food. 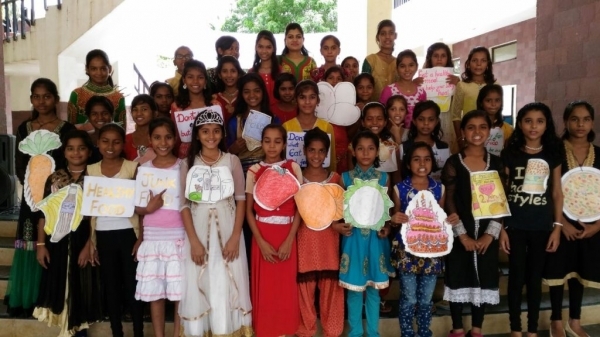 They came up one by one and spoke about the benefits of eating healthy food such as fruits, vegetables, dairy products, milk eggs and meat. 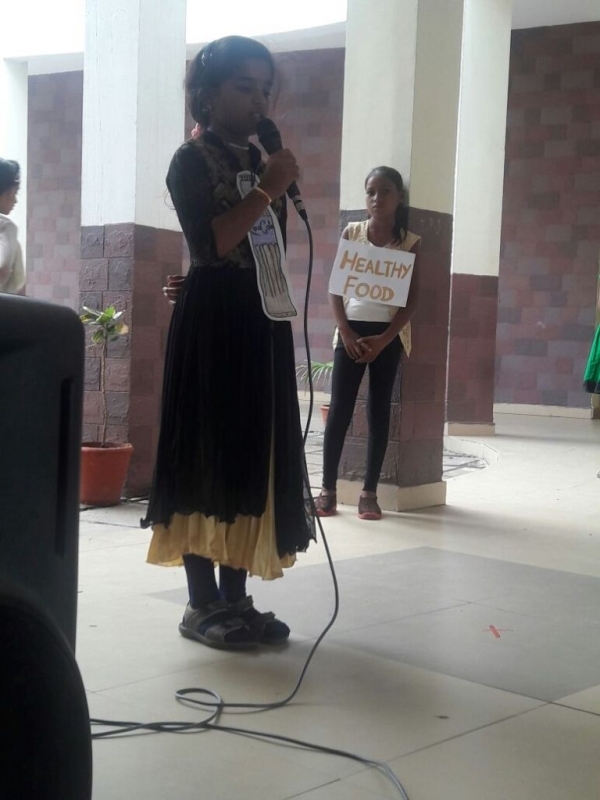 In the same way the students shared the problems caused by eating unhealthy food. They suggested that burger, pizza, noodles, chocolates, cold drinks, ice cream, wafers and French fries should not be eaten so often. 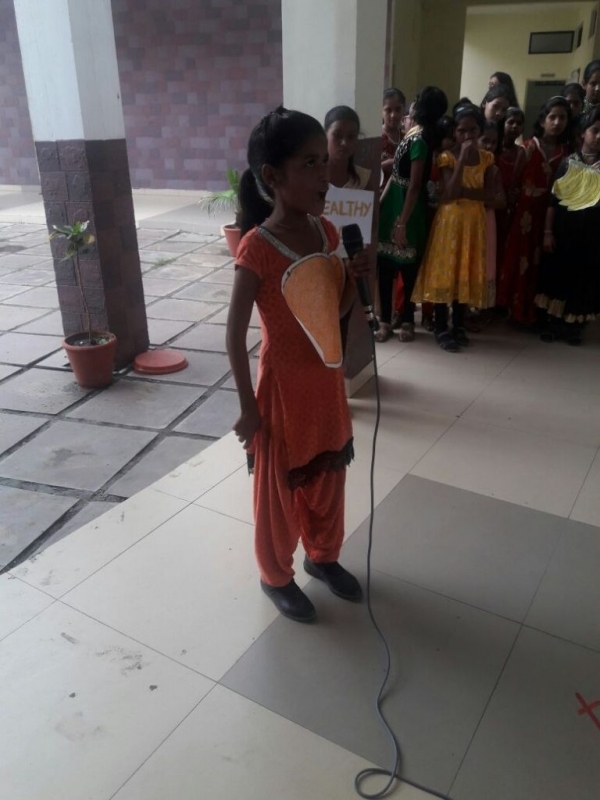 All the children dressed up in the cutouts of healthy food and junk food justified their characters by excellent dialogue delivery in English. 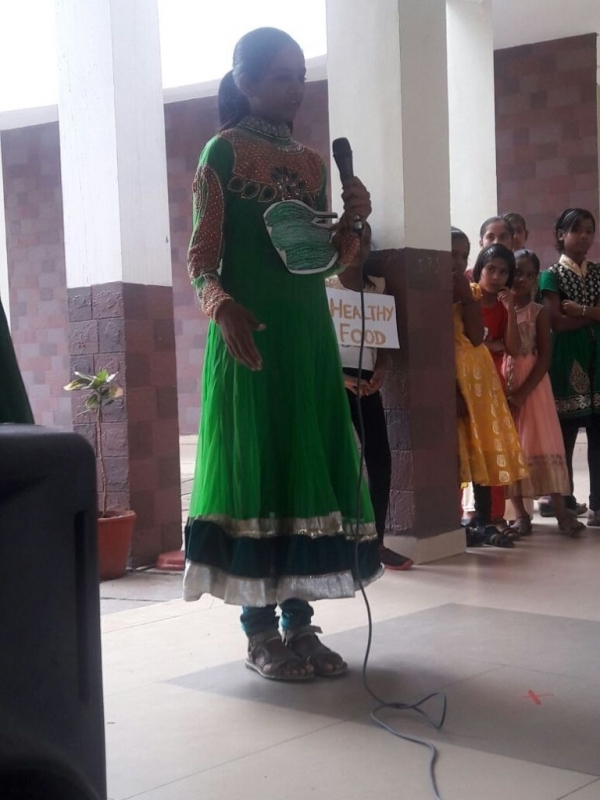 This play helped to boost their confidence for public speaking. The assembly concluded with a beautiful rhyme “Vegetables make me healthy, wealthy and wise" which the children sang in unison.